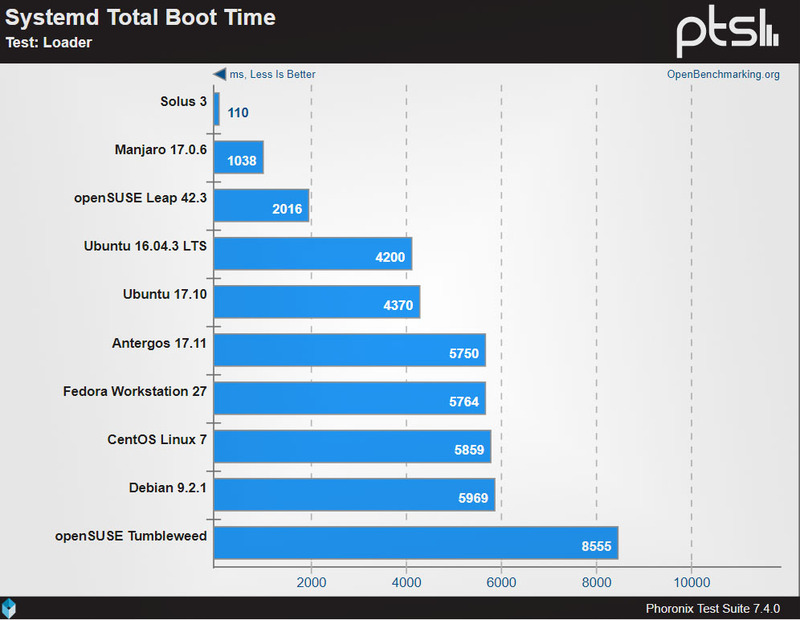 To see which version of Linux is the quickest, Phoronix has conducted a set of benchmarks measuring the total boot time of 11 Linux distributions. 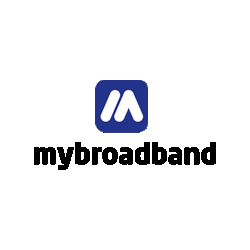 The tests also measured the boot time of separate components, such as the loader and kernel of each distribution. 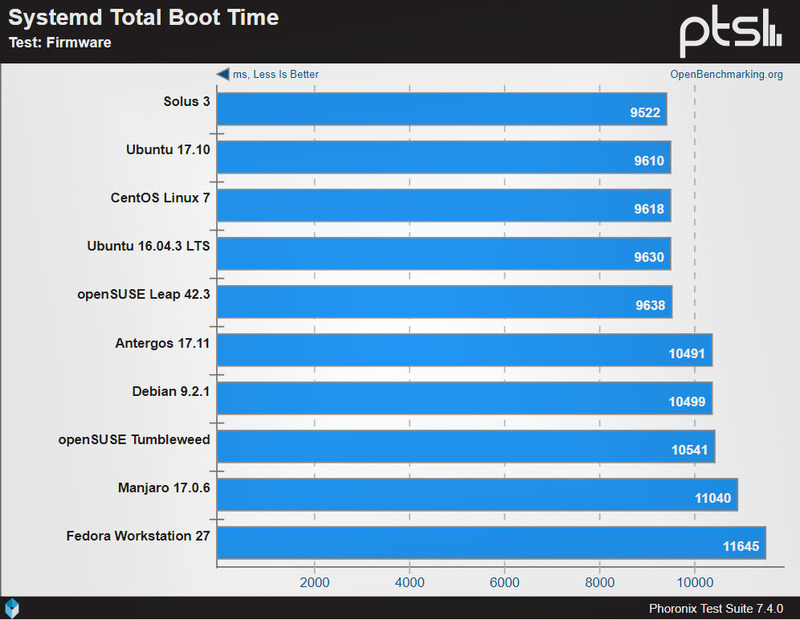 Systemd benchmark, part of Phoronix Test Suite 7.4.0, was used to benchmark the boot time of the distributions, and the results were published on OpenBenchmarking.org. 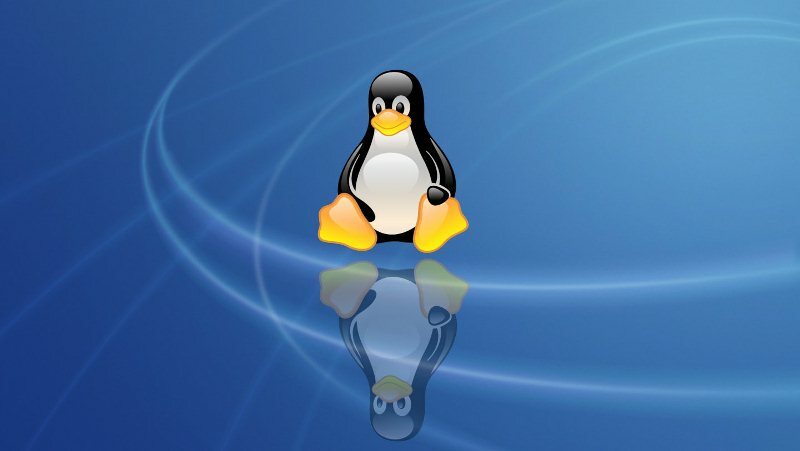 The tests show that the boot time of Linux distributions can vary substantially, with some systems taking over twice as long to boot up as others. 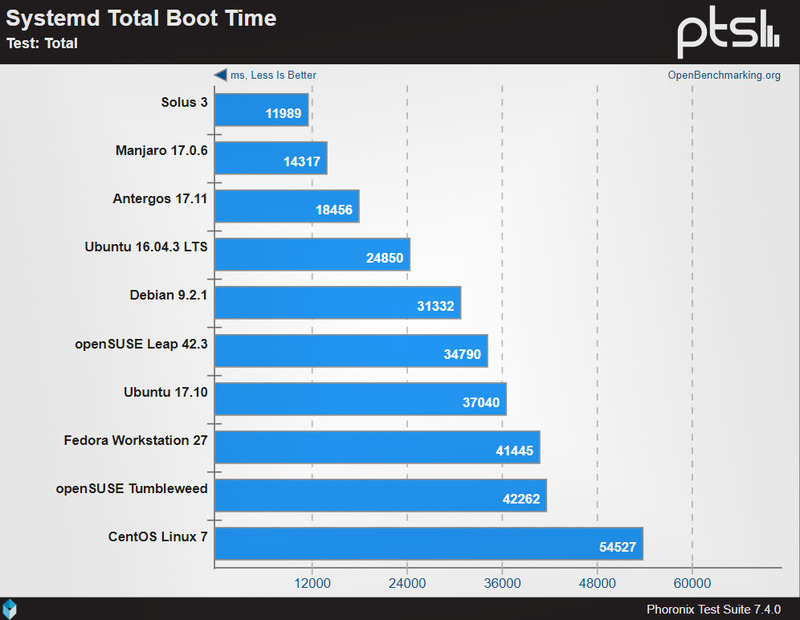 The quickest boot time result was delivered by Solus 3, which offered the best times across loader, firmware, and userspace tests. 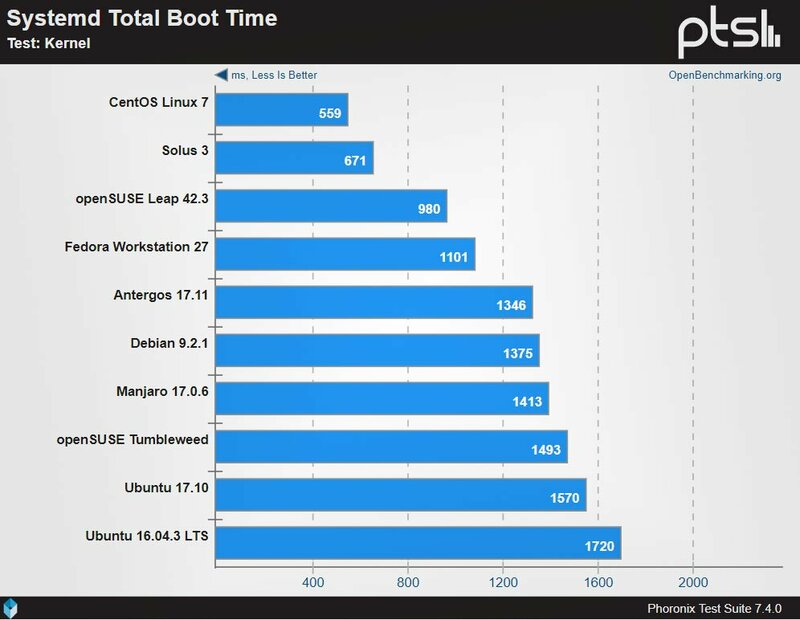 CentOS Linux 7 offered the best time score in the kernel test, but came last in overall score. 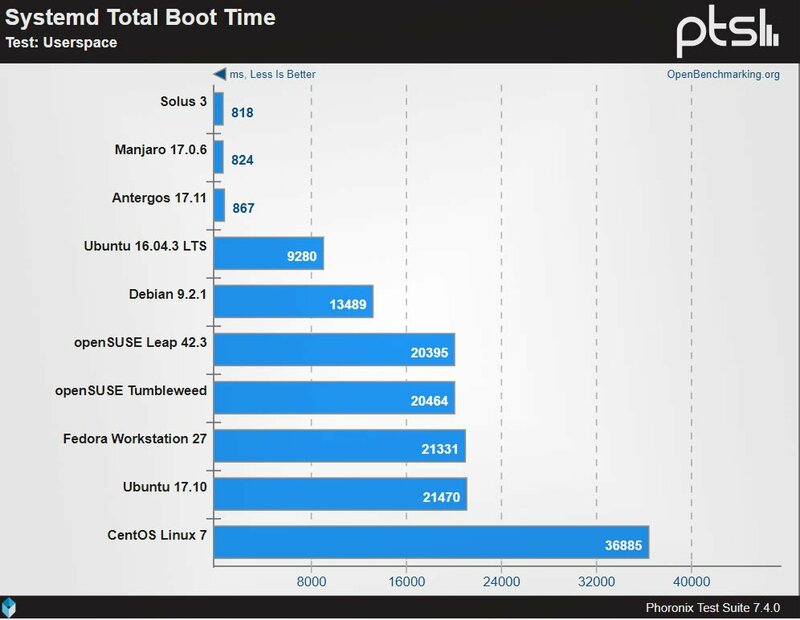 The benchmark results for the Linux distributions in the comparison are detailed below.